Loss of energy or motivation. People experiencing these feelings may get through the crisis without needing professional help. However, it is sometimes difficult for people to overcome emotional or behavioural difficulties, and this may affect their ability to care for themselves or their dependents, to socialise, to work or to study. In these instances, it may be important to seek advice from a professional. Serious psychiatric or mental health problems are referred to a qualified psychotherapist or psychiatrist. Drug addiction, family dynamics disorders, clinical depression and other such problems need to be treated by doctors and psychiatrists, who can, at their discretion, prescribe hypnotherapy as a supplementary treatment. 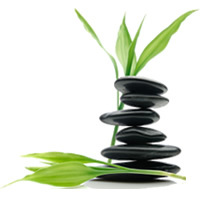 How Can Simply Natural Therapies Help? Hypnotherapy can be extremely effective in treating a range of mental health disorders such as depression, eating disorders and anxiety. Most people benefit from somewhere between 3 and 8 sessions depending on the issues underlying your condition. Using a hypnosis CD regularly between appointments will often enhance your progress. What Is Involved In The Sessions? Your therapist will ask you to sit comfortably in a chair and close your eyes. They will then simply talk you into a very relaxed state. Your therapist will check that you are actually in trance and ensure that you are comfortable with the experience. Hypnosis is a pleasant, day-dreamy state. It’s a little like the feeling you have when you are gazing at an open fire place or a beautiful waterfall. Your body will probably be very relaxed but you will be more focused and aware than you normally are. You are always in control and you will normally remember what happens during the session although it may feel a little like a dream.